Getting your business and brand in front of a very targeted market is what you'll receive as a sponsor. We offer multiple tiers of memberships. Squarespace experts. Passionate educators. Branding badasses. Incredible food and amazing service are two of the things we strive to make memorable for you and your guests. Brockmeier Financial Services works with first and second-generation business owners, helping smart investors make smart decisions. We are a local owned fitness community, a hybrid training center, a full size gym, and a service here for you 24/7. For over 150 years we’ve worked to serve families, local businesses and have ensured support to civic groups, area schools and charities that make up a community, because that's what a community bank does. Accounting Plus was established in 1992 and has provided central Missouri businesses and individuals with tax, accounting, and business advisory services throughout Columbia and the surrounding area since that time. We stay abreast of accounting and tax law changes and take a proactive interest in the smooth financial management of your business. Liberty Family Medicine is a Direct Primary Care family medical clinic which operates on a membership basis. LFM offers wholesale medications, discounted labs, and direct access to your personal family physician who is trained to see patients of all ages. It's your time, we're your bank. Achieve Balance Chiropractic is strongly dedicated to improving the natural health and wellness of patients in the Columbia, Missouri area. The Connection Exchange is a welcoming service the brings a gift to new businesses in the community. Wendy Moore and Brooke Berkey are relationship managers for CBBC who have provided us with wonderful support and resources to continue to grow our community. 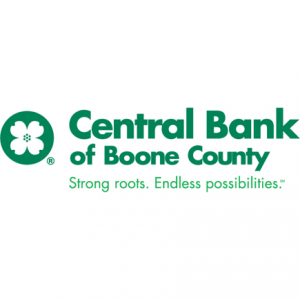 CBBC is a community bank with over 157 years of experience serving its community with legendary service, financial expertise and exceptional products. Click on the image to learn more about what CBBC has to offer! Would you like to be involved in our awesome space? Getting your brand in front of some of our best and brightest is what you can expect as a sponsor of The Hatchery. We have multiple tiers of membership.